Chester Hill Lookout is one of the more clandestine sites on our list of public makeout spots so far, and I'm pretty sure there's a punch line in there somewhere. 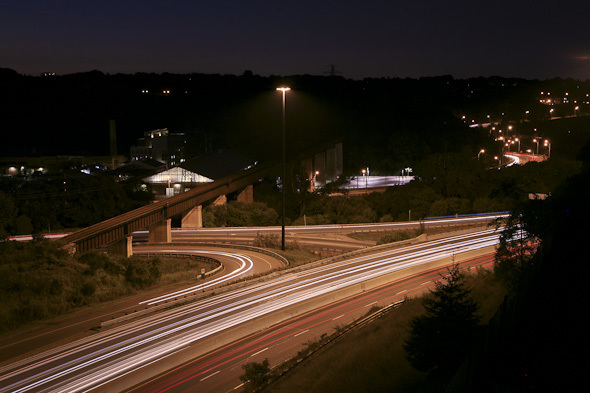 Not a masterfully designed city space with abstract neon sculptures, nor a history-laden spot of some archival significance, Chester Hill Lookout is simply a spot overlooking the Don Valley Parkway. But to generalize completely--the ladies love lookouts. 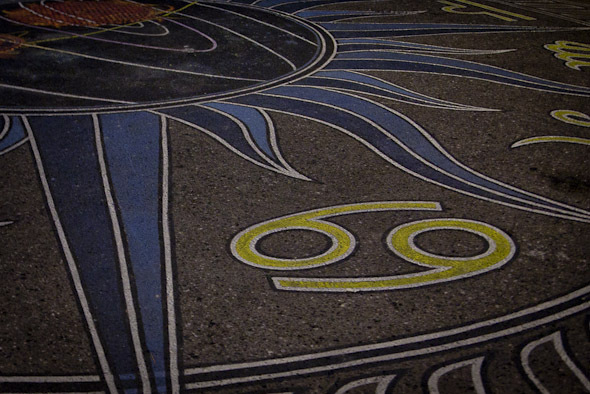 And alas, here we have our number six. 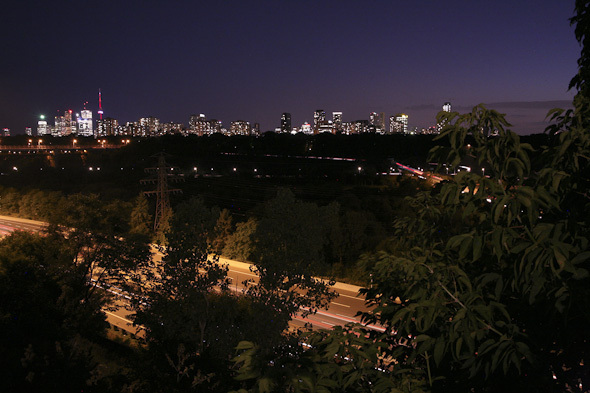 Chester Hill Lookout is accessible from Broadview a few blocks north of the Danforth. But beware; a bright blue Montessori School at the corner of Chester Hill and Broadview threatens to kill the mood. If you make it past the school, you'll walk along Chester Hill Road with its two- and three-storey detached homes and occasional luxury cars parked in driveways. In short, this isn't your poor-man's lookout--quite literally. The flourishing front gardens at many of the homes on the block facilitate the late-night chirping that will help to set the mood. But it's certainly the view that, generally speaking, will seal the deal. The cul-de-sac at the end of the road suddenly reveals that you're at quite a high elevation, overlooking the DVP with a strikingly wide field of view. You're high enough that you won't see frustrated drivers flip the bird, but not so high that mercilessly poke fun at commuters in traffic. Perfect, no? And oh so terribly romantic. If you and your partner can gaze northward, you'll spot the roof of Evergreen Brick Works, nestled among trees and other actually green things. 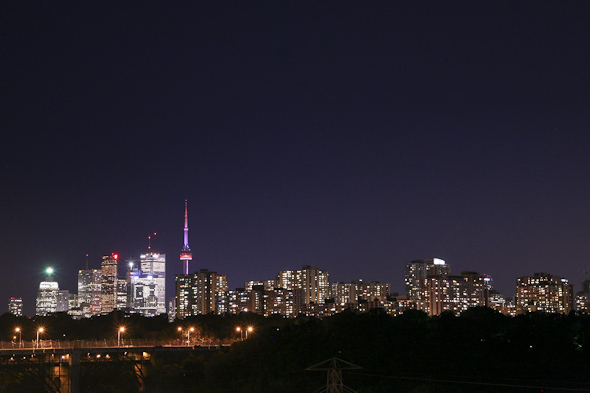 South is the city view with the TD building, CN Tower, and Rogers structure all discernibly visible. And indeed, name me a sight better while in the arms of your beloved than the corporate headquarters of your cell phone provider. That is to say, look north. As for the act, well, there's no hiding away. There's a low stone and metal guardrail for leaning, and--you know--safety, and really not much else. No benches, obviously, as the attraction is to stand and take in the view, and no respite to escape the shine of the streetlamp. If you're going to makeout at Chester Hill Lookout, you're going to do it standing, out in the open, with the glow of big business logos twinkling from the distance. That's city romance. A special thanks to Trojan Condoms for sponsoring this 10 part series on the best makeout spots in Toronto.